I like cleaning. Well, let me rephrase that. I like a clean house. If it cleaned itself, I’d really like cleaning. Therapy comes in many different forms and I find solace and healing in both cleaning and gardening. I like to see the fruits of my labors. I spend time pulling weeds and the beds are visibly tidier and trim. I scrub on my hands and knees around the toilet and it sparkles and shines. No waiting. No guessing. The results are graciously immediate. A high quality cleaner is invaluable to me and I appreciate a list of ingredients that are both non-toxic and gentle on the environment. And, when I find one that meets all this criteria AND works, I have been known to squeal with delight! There is a company that I have talked about in past blogs, Seventh Generation, and I am here to talk about them again. I love them. I love their philosophy. I love the products. I love the price points. 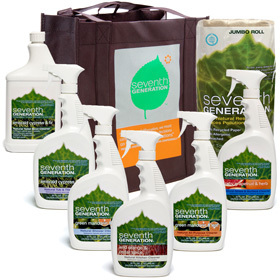 At my request, Seventh Generation sent me at no charge a set of ten household cleaning products and accessories. Below is a blurb about the ones that stopped me in my tracks, made me mouth a “Whoa” and need to be recognized for their superiority. We live in little-ish house. And, it seems to be growing infinitely smaller in direct correspondence to how large and rambunctious Beckett grows. But, one of the good fortunes of our home is the number of large windows. They let in volumes of sunshine and help brighten up the dreariest of days. Average, run of the mill, window grime is easy-peezy to clean off, but our windows have been known to harbor a collage of fingerprints, nose prints and Tucker kisses. This cleaner worked miracles. The gunk was gone. The surface was restored and ready for more toddler smooches and doggy love. And, it worked the first time. Not the third or fourth time after you notice the residual smudges when the sun shines. It’s an absolutely genius product and because it’s Seventh Generation, it’s hypo-allergenic, biodegradable and non-toxic. The Free & Clear line means it is also completely free of any dyes and fragrances. I keep a clean house. But, it never fails that guests arrive unannounced and the doorbell signals the dustbunnies to roll out from under the couch and the toilet to take on a grungy hue that warrants a gag reflex. It is like clockwork. These Disinfecting Wipes are ready to wipe any missed places or hidden nooks and crannies. They work like a full-strength cleaner, but are an all-in-one. A full-time home has been reserved under the sink for these eager go-getters. When our house was on the market, one of its selling points was a “JETTED TUB”. Who doesn’t want a jetted tub? You can soak in a hot tub in your house. No chemicals and no cleaning. I was sold. But, lesson to the wise: you get what you pay for. And, the previous homeowners bought a bottom of the barrel, rinky-dink, cheapo tub. The Richter scale in the house reaches at least eight the second you flip the switch. And the finish inside manages to both attract dirt and hold onto it with an iron fist. I have purchased every scrub brush under the sun and shamefully admit to having used a dozen toxic chemicals in a fool hardy attempt to clean the tub. Nothing works. I know I have cleaned it. But, it has never looked clean. Here are three life-changing words: This cleaner worked. No more back breaking yoga positions. No more tear-stained cheeks. No more threats of divorce if the tub isn’t replaced. I can’t change the house that moves with the tub, but I can clean it. Thank you. Thank you. Thank you. Don’t assume that the products without a dedicated declaration are anything sub-par. All of these products worked and worked really well. They exceeded my expectations and left my home smelling naturally clean. The windows sparkled. The counters were clean enough to eat off of. And, I didn’t leach a single unnecessary or harmful chemical into the environment. Thank you Seventh Generation! Cleaning really does do a body good. Holy moly! Look at this giveaway! One lucky winner will receive the following ten items courtesy of Seventh Generation! Seventh Generation provided this entire set to review upon my request and the same set will be shipped directly from Seventh Generation. Comment on this post and tell me: What is your favorite Seventh Generation product? 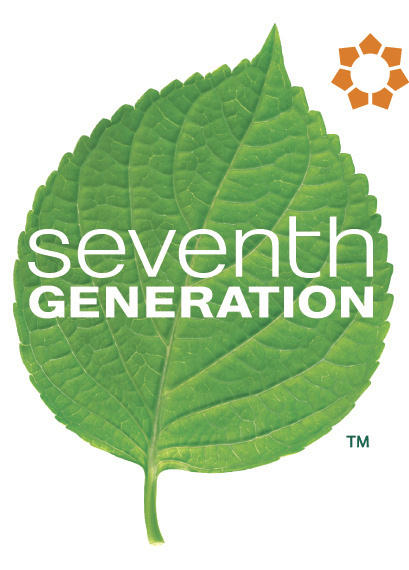 If you haven’t tried Seventh Generation before, please tell me: What are you most excited to try? Winners will be drawn on Saturday, April 24th, 2010 at 10:00pm PST. This entry was posted in home & hearth, nice & natural. Bookmark the permalink. Wowzers! Now that’s a giveaway. So does it count that I just subscribed via a reader? Or does it have to be a new subscription? I like their laundry soap, but would love to try the glass cleaner. Windex does not do a good job. I’ve used the Disinfecting Multi-Surface Cleaner and LOVE it, but I’ve never seen the Natural Tub & Tile Cleaner and am super excited to try that! I have a kitchen island that is covered with tile. I’ve even tried steam cleaning the grout. I can’t wait to see how the 7th Generation product works on it! I also subscribed to your blog via Feedburner email (which is how I saw this post). I also retweeted your Twitter post. Tell me each of these things in one single post. That way you will get an entry for each comment. Make sense? Facebook is still only my personal profile – KATE FERRY. I have not set up a business page yet for the Sacred Bee. You can go ahead and friend request me if you’d like. I’m always unsure of trying new products, but if the glass cleaner is that good I would love to try it. As I just cleaned all 32 windows OUTSIDE last week twice. I’m still starring at smudges UGH!!! Thanks for your comment. I see the “.ca” on the end of your email and I want to make sure that you are a U.S. resident before you enter the giveaway. Under my Rules & Policies it states that giveaways are only open to U.S. residents with a valid U.S. mailing address. Not my rules – the companies’ rules. 😦 Let me know. Here’s my answer to the question What your favorite Seventh Generation product is? They make a High Efficiency detergent for front-loading washing machines. That’s the one! Sign me up for an entry in the giveaway! I am most excited to try the disinfecting wipes and toilet cleaner. Love the pictures of Beckett, but am wondering where pix of my buddy Tucker are?? We dogsat a german shepard this past week…so much fun!!! I would love to try the tub & tile cleaner. The emerald cypress & fir scent sounds amazing! …and I “Joined the Nation” at Seventh Generation.